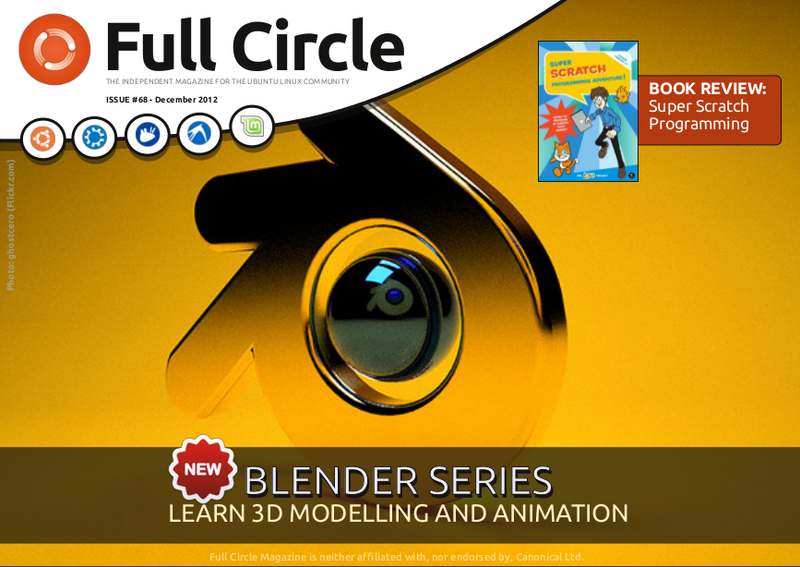 Full Cirlce Magazine #68, The Last Issue for 2012 is Ready to Download! Full Circle Magazine #68, the last issue for 2012 is ready to download. This issue covers how to squeeze Ubuntu 12.10 into old EEE PC, "Super Scratch Programming" book review, Python programming, LibreOffice and Inkscape tutorials, and finally, in this issue Full Circle Magazine starts the "Blender series", so if you are looking for free ebook to read in the holiday, you should consider Full Circle Magazine. Here it is, folks. The last issue of Full Circle for 2012. How-To : Programming in Python, LibreOffice, and Install 12.10 on an EEE PC. Graphics : NEW! Blender, and Inkscape. Web Dev : CRUD Part 4. * Book Review – Super Scratch Programming. Review: Linux Mint Debian Edition KDE. Closing Windows – Run An App On Startup. What Is – Raspberry Pi. SPECIAL Q&A with Didier Roche – How Ubuntu Is Made. plus: Q&A, Command & Conquer, Linux Labs, Ask The New Guy, My Story, and so much more!